Answer: There may be different opinions on this subject, but we can tell you what we do ourselves. And there is a test you can use to assess solubility of different brands. We use Scott’s 1000 sheet toilet paper. It is a 1-ply paper that we have found dissolves easily. We have been using it for years and not had a problem. You may be able to use a 2-ply sheet if you find something that dissolves easily. We haven’t pursued this because we are fine with what we have been usuing. The important thing is to find a product that is readily water soluble. To test this out, fill an empty jar (like a quart mayo jar) about half full of water. Put in a sheet or two of your toilet paper. Shake the jar rapidly for a few seconds. If the toilet paper falls apart, it is a good choice for your RV holding tank. I poured 1 cup of water into a pint jar. I made 4 jars like this. Then I added 2 sheets of tissue to each jar…one Charmin, one MembersMark, one RV tissue, and one Angel Soft. I then put lids on each jar, gave each one a quick “downward motion”, almost a shake, and set it on the counter. Charmin was the only one that didn’t immediately look like “feathers in water.” They broke down right away, and the Charmin broke down when I moved the jars later – so it doesn’t take much jostling to get them to break down. 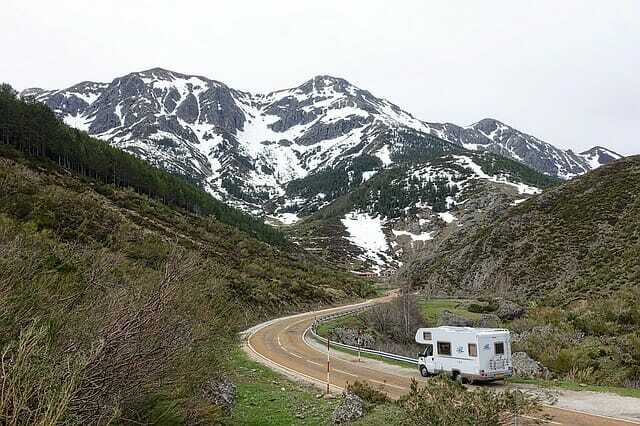 The Best Days of Our Lives Have Been in an RV.